Athena, the patron goddess of Athens, was a revered entity, so much so that they had a whole temple done in her honor. 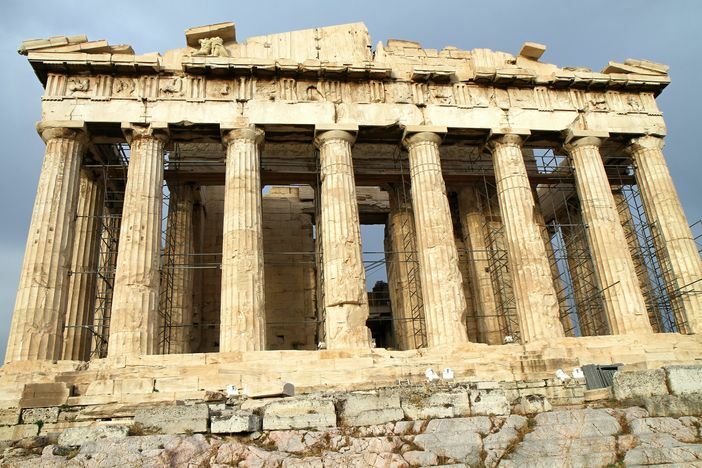 The remains of this masterpiece, which was done between 447 BC and 438 BC, is the Parthenon. It deserves a mention among the famous historical monuments in Europe because of several factors; it is very representative of the civilization and cultural evolution that characterized Europe and is still eminently present to this day. Parthenon is located atop the Acropolis, a picturesque hill overlooking Athens. Visiting it is a fine offshore activity for travelers passing through Athens. 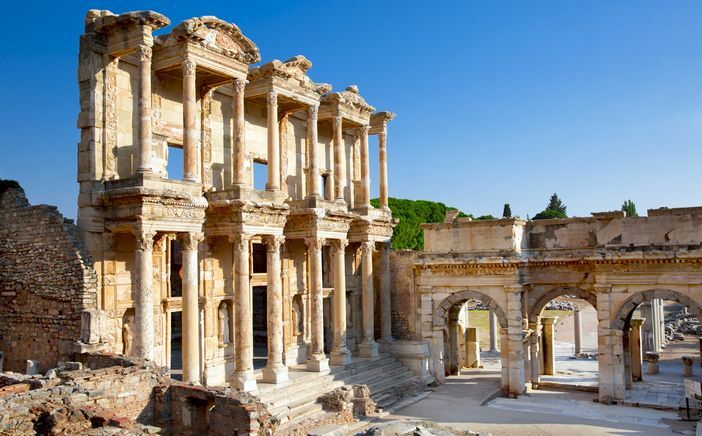 Despite the monumental and opulent of beauty that was the Greek city of Ephesus, it is conventionally agreed that Celsus Library was and still is the city’s most beautiful structure. It was constructed in 117 AD to hold the remains of Gaius Julius Celsus Polemaeanus, who served as the Greek governor for the province of Asia. The exact location of the grave is right beneath the entrance on the ground floor. The library was built to have a capacity of about 12,000 scrolls. Its design was augmented with two walls so that the reading material was safe from effects of the elements. Its majesty is well captured by the Corinthian style columns that are the structure’s key pillars. Half a million visitors come here each year and it is easy to discern what draws them. Located in the heart of Haifa, these gardens have a unique design that brings together geometrical shapes that have been exquisitely detailed to bring out historic and natural landscape features. The monument also features a staircase structure with multiple terraces that extends to the northern slopes of Mount Carmel. Another highlight of the gardens is the golden shrine of the Bab. 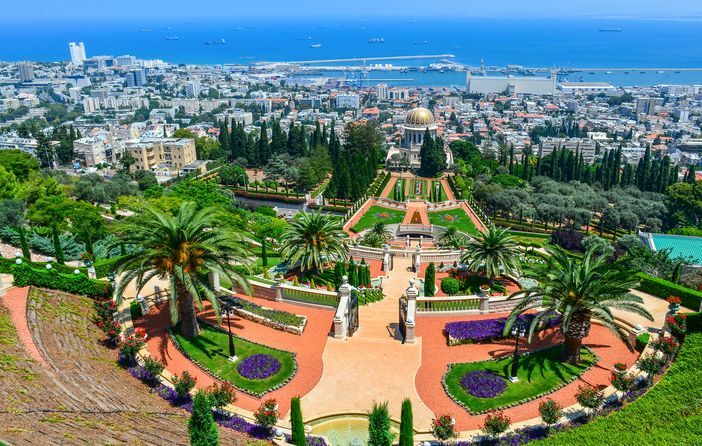 While the well-manicured gardens speak the common language of beauty, they also nicely frame views of Haifa, the Mediterranean Sea and the Galilee Hills. 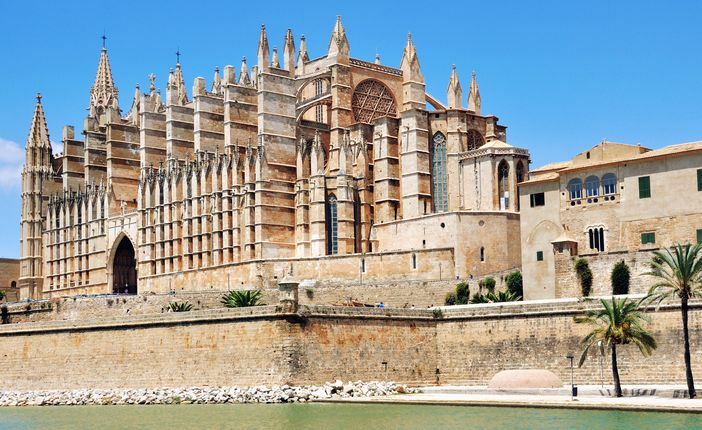 Mallorca has just one monumental landmark and that is Cathedral La Seu. Constructed in the early 1300s in what is now the old part of the city, its flying buttresses and sandstone walls seem to rise from the sea. This magnificent church has a vault that is 144 feet high, columns towering to a height of about 20 meters and a wrought iron canopy just above the main altar. Its stain glass window collection is the biggest, with some 1,236 pieces that cumulatively come to about 12 meters measured across. This indeed is one of the famous historical monuments in Europe. 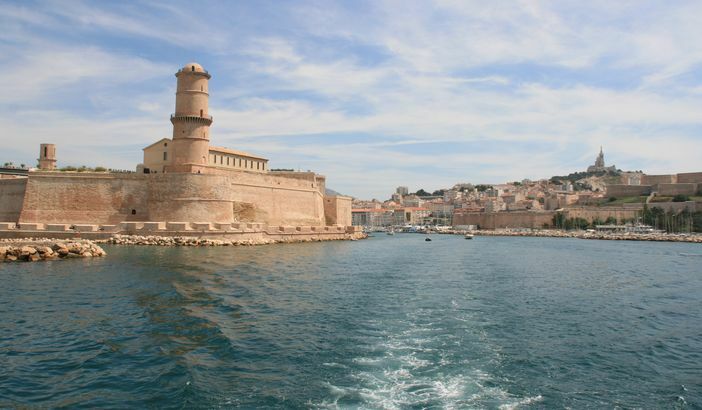 Built by Louis XIV in 1660 at the entrance of Marseille’s Old Port overlooking what is now J4 Pier is the Fort Saint Jean fortification. With the help of two small bridges, this monument is now linked to France’s first national museum. It was restored and transformed to include exhibition space, a promenade and a dry garden full of Mediterranean plants. Visitors can either take it easy in the gardens while enjoying the beautiful views of the ocean, or wander around the fort and the old buildings. The exhibition spaces house artefacts totaling in the millions. The New Bridge is a true work and an architectural marvel. 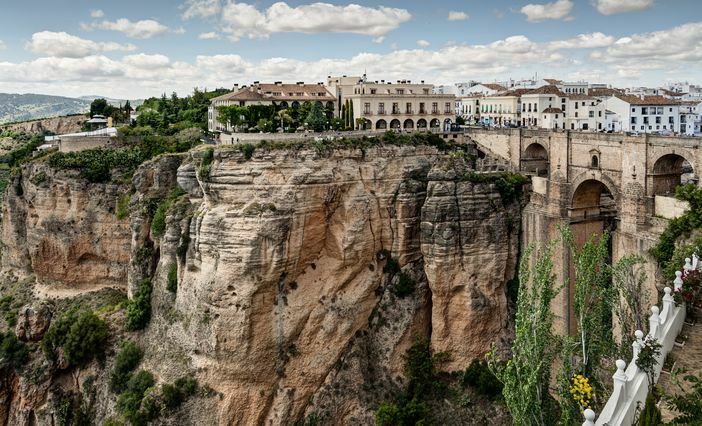 It is just one of three bridges that provides connectivity over Guadalevín River, which straddles across the city of Ronda (Province of Malaga) with a 309-feet chasm. Its construction started in 1751 and concluded in 1793. It has both bright and dark history, mostly dark though. During the 42 years of construction, 50 workers died on site due to work-related accidents. The bridge has a chamber just below the arch that is now used as an exhibition space, which contains pieces that reflect the history of the bridge. 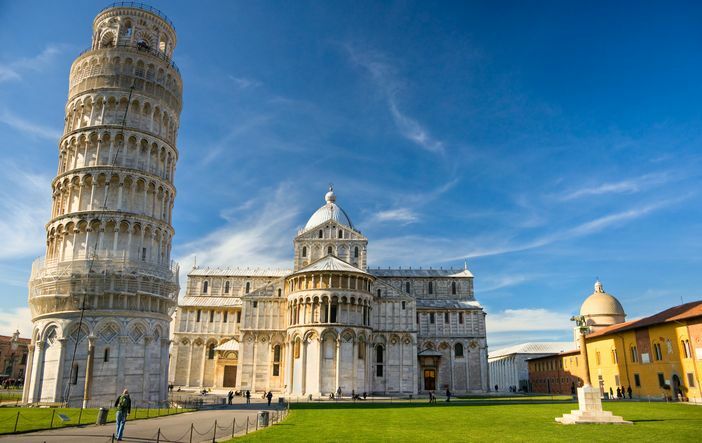 Piazza dei Miracoli, which loosely translates to the square of miracles, is a classic architectural marvel and one of the most famous historical monuments in Europe. The Catholic Church considers the area sacred as well as all of the four great edifices around it. The edifices are: the Leaning Tower of Pisa, the Pisa Cathedral, the Pisa Baptistery and the monumental cemetery Camposanto Monumentale. The austere and stately nature of these magnificent structures and the accompanying green lawn make it one of the world’s most famous monuments. 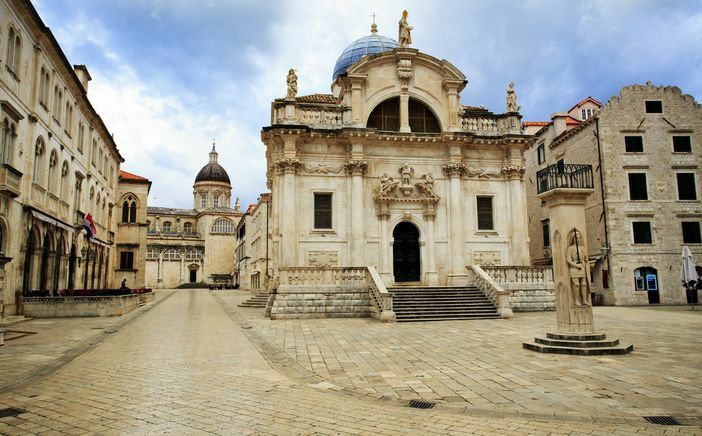 This church was constructed in 1715 and depicts a deep and flamboyant style of the Venetian Baroque. The standing church was done to replace a former structure that suffered double tragedy of earthquake and fire. The current church building stands resplendently on its Greek cross plan, complete with a grand dome. It also boasts a very wide staircase that is renowned to provide many tourists with space to take the load off and rest, as well as gaze at the city’s beauty. The church has several treasures and artifacts, including the silver statue of Saint Blaise. 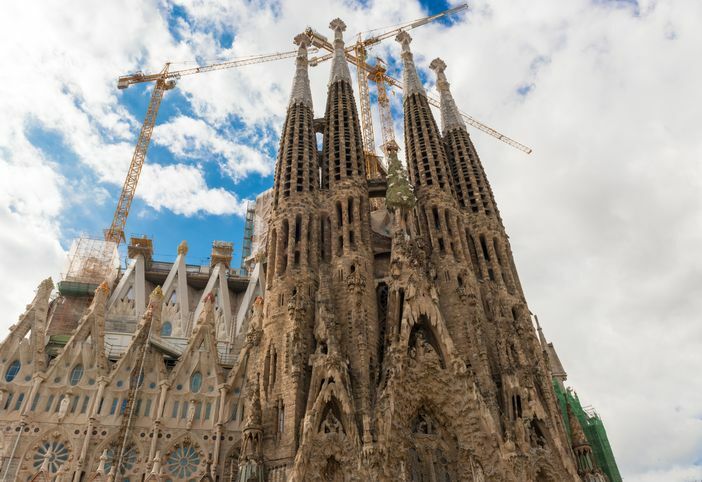 With a visitor tally of 2.8 million visitors a year, La Sagrada Familia is the most visited monument in Spain. Its construction commenced in 1882 with a completion date set for 2026, just in time to celebrate 100 years since the death of its architect. As a work of art, this Spanish church building has been described by many sentiments, such as the most extraordinary interpretation of Gothic architecture since the medieval times. It is breathtaking both in and out, with a breathtaking and exquisite internal roof design. 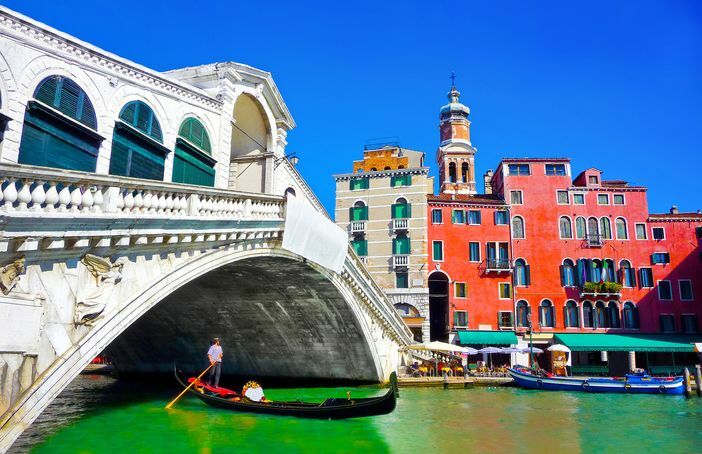 The Italian city of Venice is known for its gorgeous canals and gondolas. One of these canals, the Grand Canal, has a total of four bridges, the oldest of which is the Rialto Bridge or “Ponte di Rialto” in Italian. It was opened for traffic in 1591, and for a long time it was the only way to get to either side of the Grand Canal. Its design includes two ramps roofed by a portico and with shops on either side. This bridge is one of the most photographed bridges in Europe. All these famous historical monuments in Europe seem to be located over a wide unmanageable geographical travel area, but they all are actually accessible if you book the proper Mediterranean cruise as offered by the major cruise lines.